Characters: Three storytellers, Goldilocks, three bears, three bowls, three chairs, three beds. Storyteller 1: Once upon a time, there were three bears who lived in a little house in the woods. Storyteller 2: There was Daddy Bear, there was Mummy Bear and there was Baby Bear. Storyteller 3: One fine day, they decided to go for a walk. Daddy Bear: What a lovely sunny day it is today. Let’s all go to the woods. Baby Bear: I’m hungry. I want to eat my porridge. Mummy Bear: The porridge is still hot; it will be cool enough by the time we come back from our walk. Storyteller 1: So, off they went on their walk. Storyteller 2: Just then, a little girl called Goldilocks was walking in the woods. Storyteller 3: She was picking flowers for her grandma. Storyteller 1: She stopped suddenly and saw a pretty little house. Goldilocks: Oh look, three bowls of porridge. Goldilocks: Yuck! You are too salty. Goldilocks: Yuck! You are too sugary. Goldilocks: Mmmmmm, that was just right. Oh look, three chairs. I think I’ll sit down for a moment. Goldilocks: This chair is too hard. Goldilocks: This chair is too soft. Goldilocks: This chair is just right. Oh dear, I’ve broken the chair. Storyteller 2: Goldilocks decided to walk upstairs. Storyteller 3: She saw three beds. Goldilocks: This bed is too hard. Goldilocks: This bed is too soft. Goldilocks: This bed is just right. Storyteller 1: Goldilocks fell fast asleep. Storyteller 2: After a while, the three bears came back from their walk. Daddy Bear: Who has been eating my porridge? Mummy Bear: Who has been eating my porridge? Baby Bear: Who has been eating my porridge? Look, it is all gone! Daddy Bear: Who has been sitting on my chair? Mummy Bear: Who has been sitting on my chair? Baby Bear: Who has been sitting on my chair? Look, it’s broken! Daddy Bear: Who has been sleeping in my bed? Mummy Bear: Who has been sleeping in my bed? Baby Bear: Who has been sleeping in my bed? And look, she is still there! Storyteller 3: Goldilocks woke and screamed. Storyteller 1: She jumped out of bed and ran down the stairs and out of the house. For more play scripts based on Fairytales, click on the link below. also be used to develop listening skills. by not using sound. They can only use body movements and gestures. group says, “Hi _____, pleased to meet you,” and repeats the action. greeted them and repeated their action. Resources needed: Clear space, ball or a bean bag. continues until everyone has had a turn. Fun drama games for 3 & 4 year olds. Resources needed: Clear space, stars. hard as they can, while singing. as many times as the children want. children to speak in unison and project their voices. done numerous times so that all the children in the group get a chance to be the jelly. helps the children to work together in a group. And with the girls be handy. For more drama games for young children click on the link below. 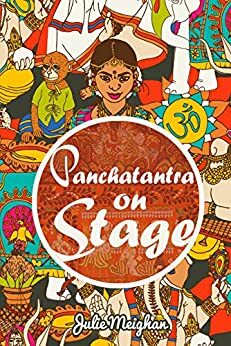 Characters: Two storytellers, Androcles, Lion, Emperor, three slaves, three roman guards and as many spectators as you wish. Storyteller 1: A long, long time ago when the Romans ruled the world. Storyteller 2: There lived a slave called Androcles. Guard 1: Slaves, work harder. Any slacking and you will be fed to the hungry lions in the arena. Androcles: I can’t take this life anymore. Slave 1: Androcles, we are slaves. Slave 2: We must do as the Romans tell us. Slave 3: You should learn to accept your fate. Androcles: I don’t want to accept this terrible life. I’m going to escape. I need you to cause a distraction. Guard 2: Stop that noise at once. Guard 3: What is the matter with you? Slave 1: I’ve twisted my ankle. Slave 2: Go now and good luck. Slave 3: Don’t get caught or else you will be fed to the lions in the arena. Storyteller 1: Androcles jumped over the wall. Storyteller 2: And ran through the forest. Androcles: I’m exhausted. (He stretches, yawns and looks around.) This looks like a good place to sleep. Storyteller 1: Androcles was just about to lie down when he heard a loud roar. Androcles: It’s a lion. Oh dear, he looks very angry. Lion: I’m not angry. I’ve got this thorn stuck in my paw. I’m in pain. Roarrrrrrrrrrrrrrrrrrrrr! Storyteller 2: Androcles pulled the thorn out of the Lion’s paw. Androcles: There you go. I’ll put some leaves on it to keep it dry. Lion: Thank you so much I was in so much pain. Maybe one day I’ll return your good deed. Guard 1: Caught you at last. Guard 2: Your luck has finally run out. Guard 3: The emperor is very angry with you. Emperor: Slave, you are going to pay for escaping. Guards, take him to the arena and throw him to the lions. I could do with something to amuse me. Guard 2: See you later. Guard 3: Ha, ha I doubt we will ever see him again, alive. Storyteller 2: Androcles waited in the arena for the trapdoor to open. The crowd cheered loudly. Androcles: This is the end for me. I’ll just close my eyes. I hope it will be quick. Spectators: Kill him, kill him, kill him. Lion: Open your eyes, Androcles. Androcles: No, just eat me and get it over with. Lion: Androcles, it is I the lion you helped in the forest. I would never eat you. Storyteller 1: Androcles slowly opens his eyes. Emperor: Androcles, you have made friends with a fierce creature. Your reward is your freedom. Storyteller 2: The Lion and Androcles lived to a ripe old age and remained friends. For more plays based on animal stories click on the link below. The 🐸 Prince – A five minute Playscript for children. Characters: Two storytellers, Princess, King, Frog. Storyteller 1: Once upon a time there lived a beautiful princess. Storyteller 2: She was very vain and selfish. Princess: I’m so beautiful. I can’t wear this dress I need a new one. It’s my birthday today I wonder what my father. The king got me. King: Happy Birthday Princess. I’ve got a wonderful present for you. King: Not just any old ball. It is a ball made of gold. I got it specially made for you. There isn’t another ball like it in the world. Princess: I’ve never seen anything so beautiful in my life. A beautiful ball for a beautiful princess. I shall play with it in the garden. Storyteller 1: She played with the ball every day. Princess: If only I had a friend to play with. It is no fun playing ball by myself. Frog: I’ll play with you. Princess: You, don’t make me laugh. You are hideous. I’m not that desperate. Frog: Your loss, I may look hideous but I’m great fun to play with. Storyteller 2: The princess flounced off and the frog jumped back into the pond. Storyteller 1: One day the princess was playing with her ball by the pond. Storyteller 2: She slipped on a stone. She wobbled and then she wibbled and she slipped into the pond. Princess: Wait, where is my ball gone? I can’t lose my ball. I can’t lose my ball, it’s my only friend. Storyteller 1: She began looking for her ball. She couldn’t find it and began to cry. Princess: What shall I do. I’ve lost my beautiful golden ball. Frog: Why are you crying princess? Princess: I fell into the pond and lost my beautiful golden ball. Frog: Don’t cry. I’ll help you find your golden ball. Storyteller 1: The frog jumped back into the pond, and he found the golden ball. Frog: You have to promise me something in return. Princess: Anything I just want my ball back. Frog: You must promise to be my friend. Princess: I’ll be your friend just give me back my ball. Frog: Not so fast. You must promise to allow me to eat with you every night and sleep next to you every night. Princess: I got my ball back. Storyteller 1: She ran towards the castle. Frog: Princess, come back. You promised to be my friend. Wait for me. Princess: In your dreams, I could never be friends with an ugly thing like you. Never bother me again. Storyteller 2: That night, the princess and the king were eating their dinner. Frog: Ribbit, ribbit. Your majesty. I helped the princess to find her golden ball. She promised that she would be my friend and that I could eat with her at the table and sleep next to her. Princess: I lied. I just wanted my ball back. King: Princesses never break their promises. Welcome, come and have a seat and be our guest. Storyteller 1: They ate their dinner. Frog: That was delicious, now it’s time for bed. Princess: Seriously you don’t think you are coming anywhere near my bed. King: You promised that he could sleep next to you. Remember princesses don’t break their promises. Storyteller 2: The princess picked up the frog by his neck and plonked him down in the corner of her bedroom. Frog: Princess, I want to sleep in your bed. Princess: You are disgusting. How can I sleep with you? Go away and never come back. Storyteller 2: Suddenly the frog turns into a handsome prince. Frog/Prince: Thank you, princess, for breaking the spell. Frog/Prince: An evil witch turned me into a frog. She said only the friendship of a beautiful princess would break the spell. Princess: I was so horrible to you. Can you forgive me? Frog: Of course, I forgive you. Just promise you will never judge people by their appearance again. Storyteller 1: The prince and princess lived happily ever after. For more plays based on fairytales click on the link below. Resources: Clear space, a ball and a variety of objects (optional). Instructions: Children stand in a line. If there are lots of children in the class you make more than one line. Each line has a ball. The ball must be passed down the circle. The teacher calls out the instruction of how the ball should be passed down the line. Once the ball gets to the end of line it has to be passed back. Pass the ball between your legs. Pass the ball without using your hands. Pass the ball by just using your chest. Pass the ball by just using your head. If a team drops the ball then they have to go back to the beginning. Extension: You could have a box of different objects that they must be passed down the line. Each line should have the same objects. The line that gets all the objects down safely are the winners. Resources: Clear space, bean bags for each member of the class. Instructions: Have the children put a bean bag on their heads and they walk slowly around the room. Once they feel comfortable the children can walk faster and faster. They can see if they can run with the bean bag on their heads. Once they have master balancing the beanbags on their head then they can see if they can balance the bean bag on other parts of their bodies. Again they start off slowly and then they get faster and faster. The child can balance on the most body parts and move the fastest is the winner. For more Movement games and stories click on the link below. Watch Michael Rosen perform the Bear Hunt. Ask the children what do they know about bears. Here are 10 fun facts about bears. There are eight species of bear: American black, polar, giant panda, Asiatic black, sloth bears, sun bears, spectacled bears and brown bears. Bears are mammals. What other mammals do you know? A male bear is known as a boar and a female is known as a sow. What other animals are known as boar and a sow? Unlike many mammals, bears see in colour. Grizzly bears can remember the faces of other bears they have not seen for 10 years or more. Polar bears are the largest predators on earth. Do you know any other large predators? Bears have an excellent sense of smell. A group of bears is called a sloth. Tell the children that they are going on a bear hunt. Teach them the following chant. We are going on a bear hunt, bear hunt, bear hunt. We are going to catch a big one, big one, big one. What do we need to go on a bear hunt? Ask the children what sort of things do they need to pack in their bags. Sunglasses, sun cream, binoculars, sandwiches, water etc. Go around the circle, eachchild gets an opportunity to mime putting an item in their bag. Long tall grass, uh oh. What shall we do? Can we go under? Can we go over it? Oh no, we have to go through it? All the children push their through the grass. They push it out of the way. They help each other. They all say swishy swash, swishy swash, swishy swash as they go. Finally everyone is out of the grass. A deep, cold river, uh oh. What shall we do? Can we go under it? Can we go over it? Oh no, we have to go through it? All the children jump into the river and start to swim. They all say splish splosh, splish splosh, splish, splosh as they go. They climb out of the river and continue their way. Thick oozy mud, uh oh. What shall we do? Can we go under it? Can we go over it? Oh no, we have to go through it? All the children walk through the mud. They get stuck and they help each other to get out of it. They all say squish squelch, squish squelch, squish squelch, as they go. Finally everyone is out of the mud and continue on their way. A big, dark forest. , uh oh. What shall we do? Can we go under it? Can we go over it? Oh no, we have to go through it? All the children walk through the first slowly. They all say stumble trap. Stumble trip, stumble trip. They finally come out the other end of the forest and continue on their way. A swirling, twirling snowstorm. , uh oh. What shall we do? Can we go under it? Can we go over it? Oh no, we have to go through it? All the children huddle together and walk slowly through it . They all say woo hoo, woo hoo, woo hoo. Finally the snow storm stops and they stop holding on to each other. cone out the other end of the forest and continue on their way. A narrow, glumy cave, uh oh. What shall we do? Can we go under it? Can we go over it? Oh no, we have to go through it? All the children and walk slowly through the cave. It’s very dark so that can’t see anything. Everyone says tiptoe, tiptoe, tiptoe. What do we feel? One shiny wet nose, two big furry ears, two big bulgy eyes, and some very sharp teeth. Oh my goodness it’s a bear. Everyone run quick. Tiptoe, tiptoe, tiptoe through the cave. Woo hoo, woo hoo, woo hoo, through the snowstorm. Stumble trip, stumble trip, stumble trip the forest. squish squelch, squish squelch, squish squelch through the mud. Spilsh splosh, splash splosh, splosh splosh through the river. Swish swish, swish swish, swish swish through the grass. Finally we get to our house. We open the door. Lock all the windows and doors. Run upstairs and hid under the bed. We are never going on a bear hunt again. One of my favorite picture for children is “The Paperbag Princess. Click on the link above to see the full story. Here are 10 intersting facts about it. 1. The Paper Bag Princess is a children’s book written by Robert Munsch and illustrated by Michael Martchenko. It was first published on 1980 by Annick Press. 2. The plot centres around the beautiful princess Elizabeth who lives a vey privilege life inside the walls of her castle. She is engaged to be married to the handsome prince Ronald. She believes she will live happily ever after until a fire breathing dragon burns all her clothes and kidnaps her handsome prince. She has nothing to wear, so she dons a paperbag to conceal her nakedness. She cleverly outwits the dragon and rescues her handsome prince. Prince Ronald who is a narcissist is appalled at her appearance. He tells her not to come near him until she has transformed herself back into a beautiful princess. She responds by calling him a bum, gives him his marching orders and dances off into the sunset. 3. The book turns gender stereotypes on its head which considering when it was published in 1980’s shows how progressive Munsch was. 4. Although this is a feminist fairytale it also transcends gender. The book shows children how to be resourceful, have humility, have confidence and most importantly know when to walk away from a bad situation. 5. Robert Munsch first told the story to a group of children in a childcare centre in the early 1970s. 6. It was Munsch’s wife who gave him the idea. She suggested getting the princess to rescue the prince. 7. The original ending had Elizabeth’s punching Ronald in the face. The ending was considered too violent so in the end she calls him a bum and walks away. 8. It has sold over three million copies world wide. 9. In some international editions bum was changed to toad. Action Songs and Poetry for preschoolers. I can shake my hands like this and shake my feet like that. Do your ears hang low? Do they wobble to and fro? Can you tie them in a knot? Can you tie them in a bow? Can you throw them o’er your shoulder like a continental soldier? Do your ears hang high? Do they reach up to the sky? Do they droop when they are wet? Do they stiffen when they’re dry? Can you semaphore your neighbour with a minimum of labour? Do your ears flip-flop? Can you use them for a mop? Are they stringy at the bottom? Are they curly at the top? Can you use them for a swatter? Can you use them for a blotter? Do your ears flip-flop? Do your ears hang out? Can you waggle them about? Can you flip them up and down as you fly around the town? Can you shut them up for sure when you hear an awful bore? Do your ears hang out? Knees bent, arms stretched, rah, rah, rah! And bopping them on the head. and then I’ll turn you into a goon! going to turn you into a goon! For more movement stories, poetry and games, click on the link below. Quiet Mouse, Still Mouse. Children sit in a circle as the leader announces which child (eventually, you hope, all of them) has become a mouse by being very quiet and still. Alphabet Shopping. Using the first letter, match the child’s name with something to buy that begins with that letter. For example, “My name is Connor and I will buy a coat.” This facilitates teaching categories and organizational skills by using alphabet animals, foods and places. Storm Leader starts by wiggling fingers for the rain, this passes around the circle until everyone is wiggling their fingers. The leader then changes the action to other aspects of the storm, e.g. wind – arms waving, thunder – slap knees. End with the sun – mime a circle. Weather and calander of the day.– Start the day off by asking what is the weather like outside or what day is it. Find some visual aids or printables that show days of the week or months of the year or weather symbols to help you talk about these things. 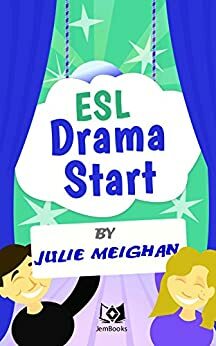 For more drama games for preschoolers click on the link below.